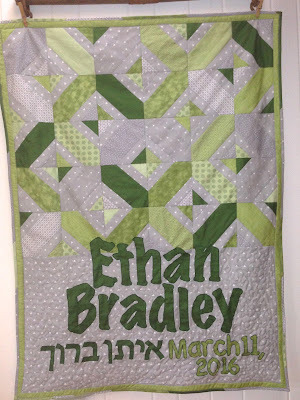 This quilt was just sent out to it's new home. It's for a new baby, Ethan to enjoy. 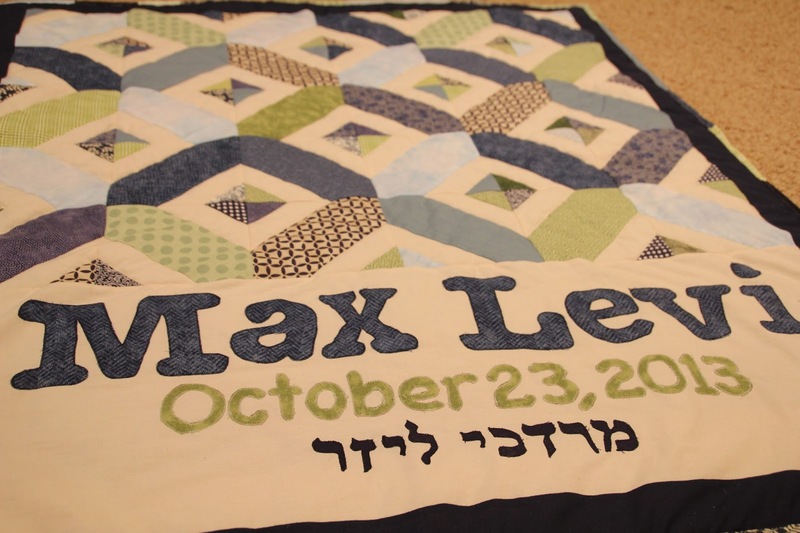 I also made a quilt for his older brother when he was born, a few years ago. 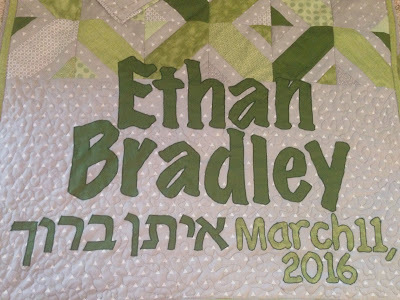 His mom wanted them to be similar so I created the same design, different colors for little Ethan. I didn't follow a pattern for the top, just sort of measured my way through. 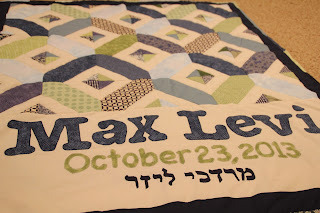 The bottom is solid piece, free motioned with the baby's English and Hebrew names and his birthday! 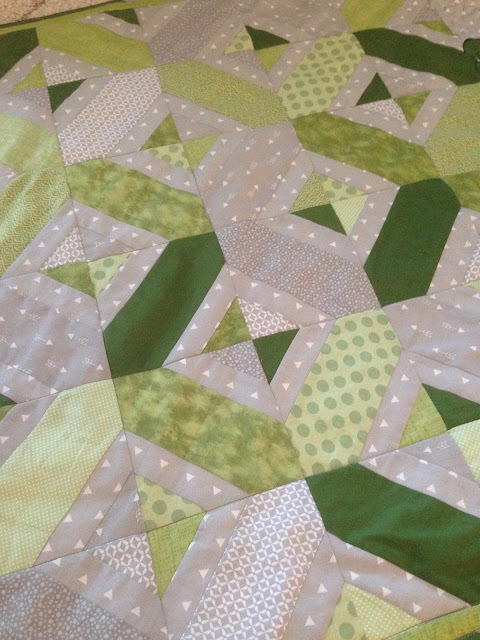 Then I did a thin border to frame the quilt and a pieced binding. Hope Ethan and Max enjoy their matching quilts for a long, long time!